This is the BEST Amish-Style Macaroni Salad EVER! 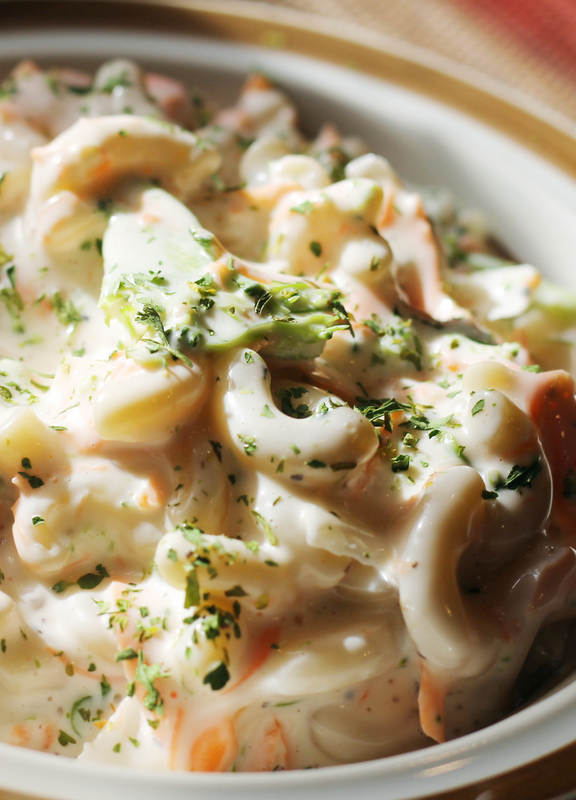 I have tried for a long time to make an Amish-Style Macaroni Salad with the best blend of sweet and tart, and this does it. The dressing is perfect. It's an awesome blend of creamy, sweet and tangy, and you'll never believe what the secret ingredient is ... seriously. When you find out you'll be surprised, maybe doubtful, and possibly even have an "ah ha" moment ... for real. I mean seriously, what has taken me so long, and where has this been all my life? I could NOT believe it could be so simple ... should I tell you? Three words ... sweetened condensed milk. Yes, you read that right ... sweetened condensed milk. What could be easier? It's thick, creamy, sweet and works amazingly well with the mayonnaise, vinegar, salt and pepper. Just wait until you try it, you'll be surprised too. Bring a large pot of lightly salted water to a boil. Add macaroni, and cook until just done, about 8 minutes. Rinse under cold water, and drain. 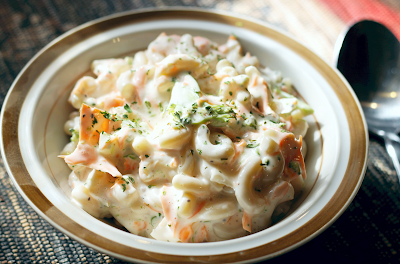 In a large bowl, stir together the shredded carrots and broccoli, onions, green pepper, red pepper and celery. 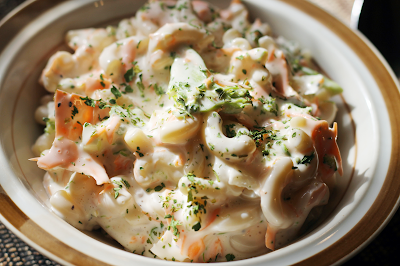 Mix in the mayonnaise, condensed milk, vinegar, parsley flakes, salt and pepper. Add the macaroni, toss gently, cover and refrigerate for at least 8 hours. Cook's note - Best made the day before. Stir occasionally to blend flavors. Macaroni will absorb more of the dressing as it sits.